Open & Agile Smart Cities (OASC) is a non-profit, international smart city network that has the goal of creating and shaping the nascent global smart city data and services market. We are already today at the forefront of tomorrow’s standards for city data, services, and technology – and we work based on city needs with support from industry. Unlike any other city network, OASC is driven by implementation and focused on open platforms and citizen engagement. OASC is growing rapidly and connects 129 smart cities globally organised in national networks from 26 countries and regions. Together, we strive to establish the Minimal Interoperability Mechanisms (MIMs) needed to create a smart city market. MIMs are simple and transparent mechanisms, ready to use in any city, regardless of size or capacity. By implementing MIMs cities increase the speed and openness of innovation and development, whilst decreasing cost and inefficiency. In essence, MIMs allow cities to engage in global digital transformation. 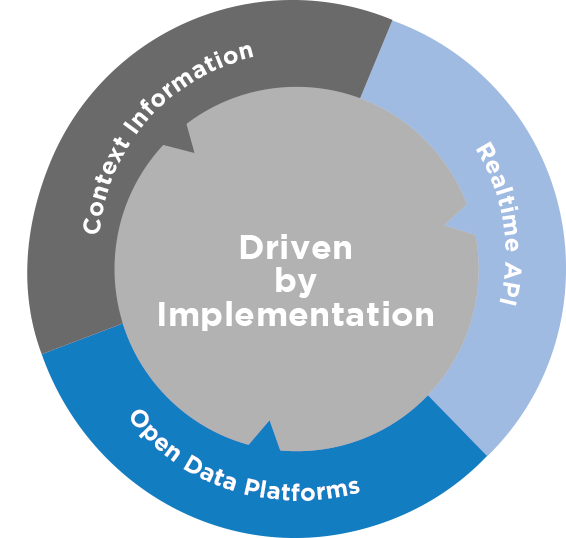 In practice, the Open & Agile Smart Cities MIMs are a set of common (realtime) APIs to access data, context information to structure data, and a common, but optional, data platform to store and serve data. In addition, a reference architecture and a reference implementation complete the set of MIMs. The OASC MIMs are an evolving set of technical mechanisms selected from a baseline of global best-practice, driven by implementation in the member cities of the network, and feeding into standardisation activities such as ETSI, ISO, and ITU.